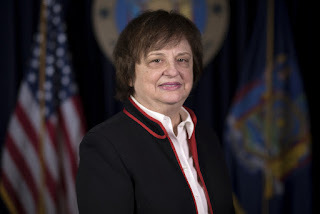 NEW YORK, N.Y. -- Attorney General Barbara Underwood announced the criminal convictions of brokerage firms TFS-ICAP LIMITED and TFS-ICAP LLC for posting fake trades in emerging market foreign exchange currency options to New York-based traders. Today, before New York City Criminal Court Administrative Judge Kevin McGrath, each company pleaded guilty to one count of securities fraud under New York's Martin Act. In addition to the criminal pleas, both companies executed a civil settlement agreement with the Attorney General's office, which requires them to implement remedial procedures and policies, retain an independent monitor for two years, remove two high-level managers from any supervisory role related to the brokering of foreign exchange currency options to New York traders, pay $1.15 million in penalties, and cooperate in the Attorney General's ongoing criminal investigation of managers and brokers at TFS-ICAP LLC and TFS-ICAP LIMITED. "My office will pursue financial frauds – no matter how sophisticated – and hold financial institutions accountable for their conduct," said Attorney General Underwood. "Our investigation into fraudulent conduct in the foreign exchange currency options market continues." A foreign exchange currency option, also known as an FX option, is a financial instrument that confers the right to buy or sell a fixed amount of a specified currency at a specified exchange rate on or before a specific expiration date. The FX options market is primarily an inter-bank market. The majority of FX options trading involves currency pairs of the major industrialized economies, including the U.S. dollar, Euro, and other G10 currencies. The FX options market for these currencies is comparatively liquid. In contrast, the FX options market for emerging market currencies, such as Latin American currencies, tends to be comparatively illiquid. Globally, trading in FX options averages billions of dollars per day and trillions of dollars per year. Banks typically use multiple, competing inter-dealer brokers for their FX options trading. Bank traders can post bids or offers for FX options directly on the electronic platform of a brokerage firm, but primarily negotiate trades by calling, messaging, or chatting with an individual broker. Brokerage firms are compensated based on volume of executed trades, and individual brokers are paid commissions based on trade volume. Prior to 2013, the FX options market was largely unregulated. However, in the wake of the 2008 financial crisis, the Dodd-Frank Wall Street Reform and Consumer Protection Act required brokers of FX options to retain records regarding their trading activity and communications. In October 2015, the Attorney General's Criminal Enforcement and Financial Crimes Bureau opened an investigation into the posting of fake trades, bids, and offers by inter-dealer brokers of FX options, in order to ramp up interest from New York-based traders in largely illiquid emerging market currencies. This type of market manipulation is a violation of New York State's Martin Act. As part of the Attorney General's three-year investigation, the office reviewed the records of two inter-dealer brokers of FX options – United Kingdom-based TFS-ICAP LIMITED, and New York-based TFS-ICAP LLC (collectively, "TFS-ICAP"). The Attorney General's office reviewed and analyzed over two years of instant message and voice communications between brokers employed by TFS-ICAP and bank traders, internal emails of TFS-ICAP, trade blotters listing all offers and trades made through TFS-ICAP and its electronic trading platform, and trade confirmations of actual completed trades brokered by TFS-ICAP. As detailed in the Attorney General's criminal complaint and Memorandum of Agreement, both filed today in New York City Criminal Court, CEFC's investigation revealed that from approximately January 1, 2007 to December 31, 2015, brokers at TFS-ICAP used fraudulent practices to solicit and accept orders to buy and sell Latin American FX options in New York. In particular, between January 1, 2014 and December 31, 2105, TFS-ICAP brokers systematically announced fake trades in Latin American FX options to New York-based traders, via instant message chats and voice transmissions, in order to create a false appearance of liquidity. Also according to court documents, TFS-ICAP brokers intentionally engaged in this fraudulent conduct to induce New York-based traders to buy and sell Latin American FX options via TFS-ICAP, rather than competing brokers, in order to obtain commissions. The practice of showing fake trades to the market, commonly known as "printing" trades, is a violation of New York's Martin Act, which prohibits any fraud, deception, or fictitious or pretended purchase or sale of securities and commodities in New York State. The Attorney General's investigation, which included the review of email communications among TFS-ICAP brokers and managers, further revealed that high managerial agents of TFS-ICAP were aware of the printing of fake trades by TFS-ICAP brokers and recklessly tolerated it. The Attorney General's investigation of individual employees of TFS-ICAP, including two high-level TFS-ICAP managers, is ongoing. The Attorney General's criminal complaint charges both TFS-ICAP LLC and TFS-ICAP LIMITED for posting fake trades in Latin American FX options to the New York financial market between 2014 and 2015. Today, before the Honorable Kevin McGrath in New York City Criminal Court, both TFS-ICAP LLC and TFS-ICAP LIMITED pleaded guilty to one count of violating the Martin Act under General Business Law Section 352-c(1)(a), a Class A misdemeanor. In addition to their criminal pleas, as part of a civil settlement pursuant to a Memorandum of Agreement filed with the court, both companies are required to: implement remedial procedures and policies to ensure transparency in all bids, offers, and trades in FX options shown or announced to the financial markets; remove two high-level managers at TFS-ICAP from any supervisory role related to the brokering of FX options to New York-based traders; retain an independent monitor for a period of two years; pay the costs of prosecution and penalties to the Attorney General's office, totaling $1.15 million; and provide cooperation in the Attorney General's ongoing investigation of two high managerial agents of TFS-ICAP and brokers employed by TFS-ICAP. The Attorney General thanks the United States Commodity Futures Trading Commission and the United Kingdom Financial Conduct Authority for their assistance in this investigation. This case is being handled by Senior Investigative Counsel Gabriel Tapalaga of CEFC and Gary T. Fishman, Special Counsel to the Criminal Division and Director of the Crime Proceeds Strike Force. Assistance was provided by CEFC Legal Analysts Jacques Courbe and Rebecca Jacobson, under the supervision of Supervising Analyst Paul Strocko. CEFC is led by Bureau Chief Stephanie Swenton and Deputy Bureau Chief Joseph D'Arrigo. CEFC is overseen by Executive Deputy Attorney General for Criminal Justice Margaret Garnett. Complex data analysis was provided by former Data Scientist Meredith McCarron of the Attorney General's Research and Analytics Department, led by Director Jonathan Werberg and Deputy Director Megan Thorsfeldt. Information technology support was provided by Information Technology Specialist Gail Lysiak. Additional data analysis provided by Assistant Attorney General Wesley Worrel, currently assigned to the Real Estate Finance Bureau. Investigator Brian Metz of the Attorney General's Investigations Bureau led the criminal investigation, under the supervision of Supervising Investigator Michael Leahy, Deputy Chief John McManus, and Bureau Chief Dominick Zarrella.